Reduces the distance a user has to reach for operating the mouse. The new and improved S-Board 840 is now available! Only 20mm thick and weighing 480 grams. Suitable for desktop and laptop use. 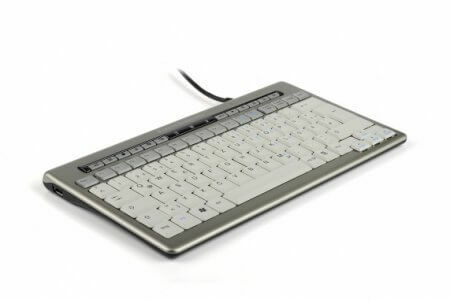 The S-board 840 is a compact, comfortable keyboard. This reduces the distance a user has to reach for operating the mouse and allows a more comfortable body posture. Its small size and light (only 480 grams) make the S-Board 840 ideal for mobile computing. 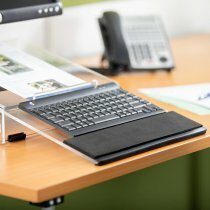 Read more about the ergonomic benefits of a compact keyboard.